A man drove down Florida’s U.S. 1 with what looks like an Israeli-built Shafrir-2 air-to-air missile in the passenger seat of his Volvo convertible and nobody really seemed to care enough to call anyone. Oh, and it was the same day that the President was visiting nearby. The missile mover in question is local business man Tom Madden. Madden is said to have acquired the missile from a widow whose husband supposedly won it decades ago at a Palm Beach auction to benefit the Israeli Defense Forces. Instead of calling a truck to cart it off, he thought he would have some fun and take it home in his drop-top C70 Volvo. The Palm Beach Post says the missile is supposedly an artifact of the Six Day War of 1967. 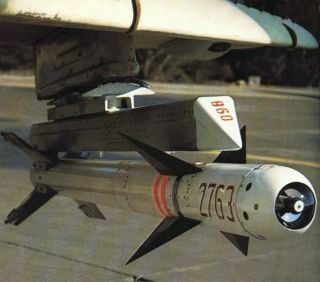 The Rafael-built Shafrir-2, which is closely analogous to the American AIM-9D Sidewinder of the same era, was indeed used in that war. The Shafrir-2 was closely followed by the Python series of cutting-edge short-range air-to-air missiles. Today, the Python 4 remains one of the most advanced short-range infrared guided air-to-air missiles in the entire world and is in service with numerous air arms.